The roads through and around Crozet are well maintained and provide a great, public platform to get from Point A to Point B, but what if there was a more scenic way to get around? Luckily, there is. 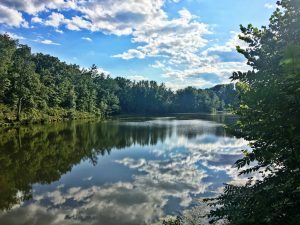 The Crozet Trails are a network of manmade trails that allow Crozet’s residents to get around – from neighborhood to neighborhood, and even to some of the town’s popular spots – all while soaking in the beauty of nature. 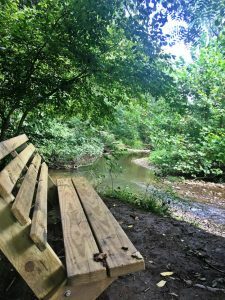 These pathways were established by the Crozet Trails Crew (CTC), an organization made up largely of volunteers and citizens who are dedicated to improving the lives of Crozetians. They organize projects, implement expansions and even plan events on the trails. Further, the CTC works with the county to find public lands for these paths, so residents from all of the neighborhoods in Crozet can enjoy the beauty of towering trees, gently changing landscapes and fresh mountain air. 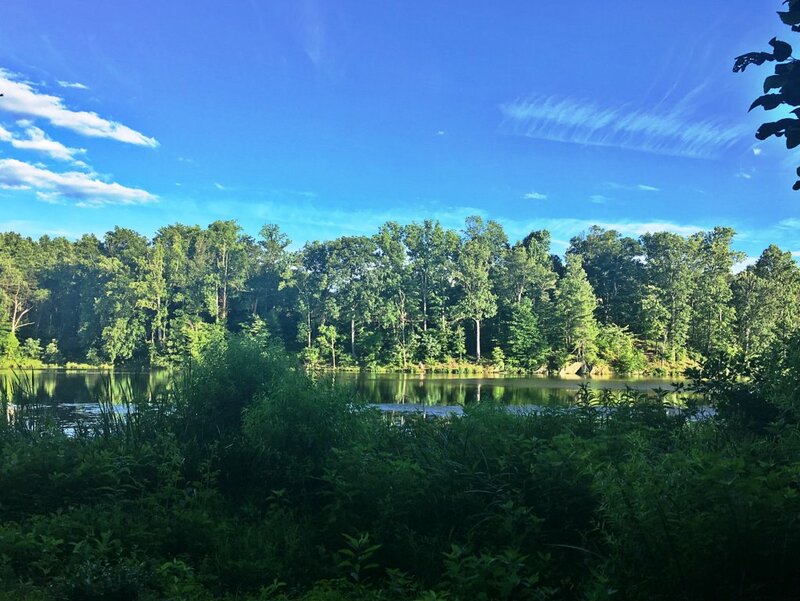 Because of the carefully platted trails, patrons have the opportunity to get to Crozet Park, Lickinghole Basin, Beaver Creek Park, around Old Trail, through town center and beyond. All of the public trails are headed by a paved parking lot, which is a great convenience for those that do not have immediate access. Once on the trails, well-placed markers make it easy to navigate from one location to the next. Each pathway varies in length and difficulty level, yet all trails are suitable for hiking, biking, running and leisurely walking. The Crozet Trails are ever-expanding and continuously changing to reach more residents. To raise awareness of the CTC and the trails themselves, special events, such as the annual 5k race along the Connector Trail and guided walks, are scheduled semi-regularly. The people of Crozet have access to these multi-use paths all throughout the year during daylight hours and are welcome to bring their dogs along to enjoy nature. Adventure awaits.